The Goodwin College Trustees represent a broad range of leadership backgrounds and diverse personal experiences. They are intimately involved in College governance, including strategic planning and development. "I was inspired to join the board by the example of my mother, Esther, who worked three jobs to finance my education and managed to complete a master's degree in education just prior to my own graduation from medical school. Her experiences as an adult learner mirrored those of our own students here at Goodwin College. I proudly wear my Goodwin name badge during my hospital rounds, the students recognize it and talk to me about their experiences during clinical rotations." 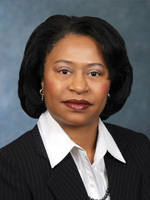 Maria Ellis, MD, received a bachelor's degree in biochemistry from Brandeis University and graduated from the University of Massachusetts Medical School in 1990. She came to Connecticut to complete a residency at St. Francis Hospital and Medical Center in Hartford. 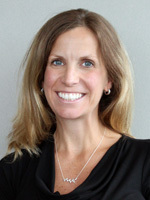 She has been in private practice in obstetrics and gynecology since 1994, and is an Assistant Clinical Professor at the University of Connecticut Medical School. Ellis is a parishioner at St. Rose Church in East Hartford, an associate of the Sisters of Notre Dame de Namur and a member of the Connecticut Fly-fisherman's Association. "It is truly an honor serving on the Board of Trustees at Goodwin College for this tremendously vibrant and entrepreneurial institution. I hope to help support our mission, and actively assist in continuing to cultivate an environment of support, sharing, and trust as we create opportunities and career paths for our students." 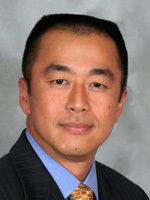 Se-Min is currently a Vice President at Precinmac, a portfolio of GenNx 360 headquartered in NYC. Within the community, Se-Min serves as Vice President of the Board of Directors at the World Affairs Council of CT. He also presides on the Board of Directors of The Hartford Club. He is actively involved with the Asian American Business Development Center of NY, Catholic Charities of Hartford, Caribbean Trade Council, and the American Diabetes Association. Se-Min has been recognized by the Asian American Business Development Center of NY as one of the “Outstanding 50” Asian Americans for his efforts and contribution to business and community. 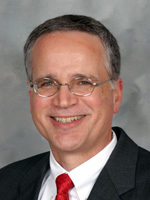 Mark Scheinberg is the founder and president of Goodwin College in East Hartford, Connecticut. In this role, he provided the leadership and financial support to convert a private career school chain into a non-profit, four-year collegiate institution. President Scheinberg has been contributing to higher education for more than 30 years. During that time, he has served on various boards that largely focus on workforce development and academia. 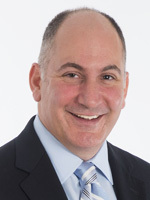 He has served on committees of the Connecticut Employment and Training Commission, the Capital Region Workforce Development Board, the MetroHartford Alliance, and the Legislative Task Force on Allied Health. President Scheinberg has also served on committees for the Accrediting Commission of Independent Colleges and Schools (ACICS) (where he won the Evaluator of the Year award in 1997); the Standing Advisory Committee to the Connecticut Board of Governors for Higher Education; and the Legislative Task Force on Teachers' Professional Standards. 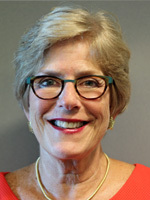 In addition, President Scheinberg has served as president of the East Hartford Chamber of Commerce, International Board Member of the Young Presidents Organization, member of the Executive Board of the Connecticut Conference of Independent Colleges, and Board of Governors officer for the Hartford Consortium for Higher Education. In the past few years, President Scheinberg has organized and/or presented in a number of international leadership seminars in Paris, Tibet, London, Washington, and Johannesburg, South Africa, as well as in many local venues. Most recently, the Young Presidents' Organization honored President Scheinberg with the International Legacy Honor Award for his lifelong contributions to promoting peace, education, and social enterprise. President Scheinberg also received the 2009 DreamMaker's Award by My Sister's Place, the 2007 Vocational Service Award by the East Hartford Rotary Club, and the 1997 Distinguished Service Award by the East Hartford Chamber of Commerce. Furthermore, Hartford's Brazilian Alliance recognized him in April 2008 for his outreach to the Brazilian American community in the region. In addition, President Scheinberg was named one of Greater Hartford's 50 Most Influential People of 2009 in Hartford Magazine. He currently resides in Haddam Neck, Connecticut. "Having been privileged to serve on Goodwin College's Board of Trustees from its inception, I am proud to be part of an institution that truly does "Make a Difference". Goodwin College is not simply a stepping stone to a job, but for many can be a fundamentally life transforming experience. The consistent air of excitement surrounding the college infects all from the trustees to the faculty to the students." A. Raymond Madorin practices law in Farmington, Connecticut. 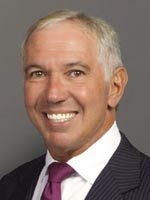 He has been an active member of the Hartford County and Connecticut Bar Associations, having served as a past president of the Hartford County Bar Association and Treasurer of the General Practice Section of the Connecticut Bar Association. Mr. Madorin is active in his church and community, having served Vestry Member and Sr. Warden at St. James in West Hartford, and serving on the boards of Seabury Memory Care Center, Inc., and Church Home of Hartford, Inc., as well as treasurer of the Farmington Exchange Club. 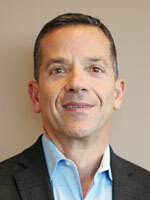 Frank Amodio is currently CEO of Amodio & Co Real Estate. In a career spanning 35 years, he was previously managing partner of Dixwell Associates, a commercial real estate development partnership and a licensed real estate broker for 25 years. He was also the President and CEO of Amodio Moving and Storage, a worldwide provider of transportation and warehousing services. In addition he was founder and President of Amodio Archives, Records Management Services. He has served as Chairman of the Board of Directors of the Young Presidents Organization, CT, and a founding member and secretary of the Mobile Self Storage Association and President of the Board of Directors of the Association of Records Managers and Administrators, CT.
Outside Frank's participation on the Goodwin College Board of Trustees, he also sits on the Board of Directors of CW Resources, Inc. CW provides employment opportunities for disabled or economically disadvantaged persons. President, Connecticut Center for Advanced Technology, Inc.
Ron Angelo is President and Chief Executive Officer of the Connecticut Center for Advanced Technology (CCAT), where he is responsible for all operations. CCAT is a nonprofit that creates and implements bold ideas for applied technologies, export and cyber services, energy solutions, STEM education and career development. Founded in 2004 and headquartered in East Hartford, Conn., CCAT leads state, regional and national partnerships and helps manufacturers, academia, government and nonprofit organizations to excel. He is formerly Principal of Great River Advisors, which developed and delivered innovative solutions to growth-driven domestic and international corporations with an emphasis on late-stage venture companies. Ron also advised and assisted organizations across a range of industries to drive top-line revenue and provide strategic capital introductions by identifying and leveraging synergies through strategic partnership development. 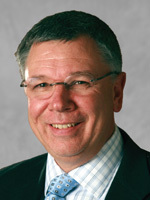 Prior to establishing Great River Advisors, Ron served as Deputy Commissioner of Connecticut’s Department of Economic Development, (DECD) appointed in 2004 by then-Governor M. Jodi Rell. He was responsible for administering business development programs totaling more than $3 billion that targeted retention and expansion of in-state businesses as well as state and federal programs focused on building strong neighborhoods and communities. Prior to his DECD appointment, he served as Deputy Commissioner for the Department of Consumer Protection and Vice President for Fleet Financial Group. Ron has extensive experience developing, negotiating and executing complex public financing transactions with small, mid-sized and large cap companies. Over the course of his career, he has worked with many global industry leading companies, including General Dynamics, United Technologies, Deloitte, Cigna, Aetna, Bridgewater Associates, Voya, RBS, Starwood Hotels, Pfizer and Alexion. Ron’s work has also included projects involving municipal, state, federal, and Department of Commerce and Department of Defense platforms. Ron has extensive foreign/direct investment experience and has worked closely with the U.S. Department of Commerce domestically and throughout Europe and Asia and maintains an active global network of business and governmental entities. He has dealt directly with several U.S. Ambassadors and represented various U.S. governmental entities before foreign governments. He also worked extensively with the U. S. Small Business Administration to develop an enhanced program to assist small businesses. Ron also has extensive experience directing large-scale urban and industrial development and re-development projects involving significantly challenged sites including decommissioned airports, active water ports, blighted urban properties and highly contaminated properties. He has over 25 years of management experience in both the public and private sector including complex union environments. He also has experience working with Universities and institutions of higher education and with several successful not for profit organizations. Ron is a board advisor for several corporations and has held numerous boards of director’s seats and professional designations and memberships. Kevin Armata is President and Chief Executive Officer of Windsor Marketing Group, a company that develops, manufactures and distributes in-store marketing programs for some of the largest retailers in the U.S. His success started from humble beginnings. During his childhood development, his educators observed reading and writing difficulties later diagnosed as dyslexia. Through education and encouragement from caring individuals, Kevin learned to overcome this obstacle and cultivated a strong determination to build the life and business he envisioned. Kevin grew up in the grocery business working in his father's store in South Windsor, Connecticut. Through his observations and interactions with shoppers, he realized the impact in-store communications had on purchasing decisions. As an undergraduate attending Bentley College, he realized if could make stores easier and more enjoyable to shop, he could provide a valuable service to grocery stores. A business idea was born. Now in its 30th year, Windsor Marketing Group continues to lead the industry by developing innovative solutions to complex in-store marketing challenges. The company's ability to customize sign programs down to the individual store on short production schedules gives retailers the ability to react quickly to competitive situations and increase sales. Today, Kevin's early vision is seen in signage programs communicating a retailer's brand position, promotions and décor. Equally admirable is Kevin's leadership in sustainability. Windsor Marketing Group is committed to growing in a way that will improve the quality of life of associates, their families, and the local community as a whole. Being part of the Suffield and Windsor Locks communities is a special privilege. The company continues to demonstrate responsible community leadership by conserving energy, manufacturing products than minimize environmental impact, and working with suppliers who share the same high standards. Kevin's support of green initiatives and community based economic programs is unwavering. "The experience of being a graduate of Goodwin College provides me with a unique perspective of Goodwin’s commitment to student success." 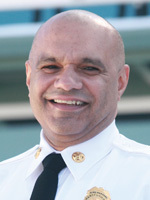 Fire Chief Edward Casares, Jr. is a 30 year member of the Hartford Fire Department, a founding member of the Society of Latin American Firefighters, National Association of Hispanic Firefighters and, The International Association of Hispanic Firefighters. He is a member of the National Fire Protection Association (NFPA) Latin American Section., Connecticut Chapter International Association of Arson Investigators, The Capital Region Fire Marshals Association, and Connecticut Fire Marshal's Association and,. International Association of Fire Chiefs. Chief Casares serves as a peer assessor for the Center for Public Safety Excellence, Center for Accreditation International; He is an Instructor at the Dr. Carl Holmes Executive Development Institute held at Clark Atlanta University. Atlanta GA. and Dillard University, New Orleans, LA. Chief Casares served as Commissioner and Chairman of the Hartford Redevelopment Agency; Hartford Democratic Town Committee in the Sixth (6th) District. The Lozada Park renewal project, and currently serves on The Salvation Army Advisory Board, the Hartford Juvenile Review Board Advisory Council, Goodwin College Board of Trustees, and Goodwin College Homeland Security Criminal Justice Program Advisory Board. Chief Casares has been awarded the 2006 Maria C. Sanchez Leadership award, he has received proclamations from Connecticut Governor M. Jodi Rell, Connecticut Attorney General Richard Blumenthal, and the Mayors of Hartford, and Miami Florida. Chief Casares is a 2008 Graduate of the Dr. Carl Holmes Executive Development Institute (EDI) held at Clark Atlanta University Atlanta Georgia. He graduated from Goodwin College with an Associates of Science Degree in Homeland Security. Edward lives in Hartford with his wife Ines of 35 years. Martin V. D'Eramo serves as the manager of state and local government affairs for United Technologies Corporation (UTC). He is responsible for UTC's government relations activities in Connecticut, Florida, Georgia, Illinois and Texas. In this role, Martin assists with the development and execution of long and short term strategic state government and intergovernmental affairs goals for UTC. He is also responsible for developing and maintaining effective working relationships with state legislators, administrative officials and intergovernmental organizations. Martin is involved with a number of civic organizations in the Greater Hartford community. He is a member of the board of trustees of Goodwin College, a corporator of Saint Francis Hospital and member of the East Hartford Chamber of Commerce board of directors. 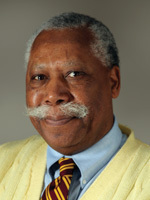 As a member of the board of trustees of Goodwin College, Martin chairs the Government Relations Committee. Martin is a graduate of Hartwick College. "As teachers, we instruct our children to always "put back what they take out." As a 2007 member of the first graduating class of Early Childhood Education from Goodwin College, I am grateful for the opportunity to serve on the Board of Trustees to also "put back what I took out" – and that is knowledge, gainful experiences, positive role models, professional contacts and lasting friendships." 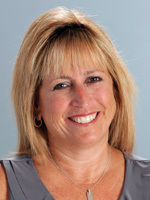 Merilee DeJohn received an associate’s degree in early childhood education from Goodwin College in 2007, a bachelor’s degree and teaching certification in early childhood education from the University of Hartford in 2010 and a master’s degree in special education from Saint Joseph’s University in 2014. She currently teaches second grade at Highcrest School in Wethersfield, CT where she also serves on the Safe School Climate Committee. 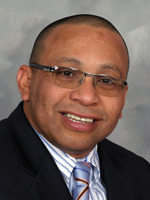 Since graduating from Goodwin College, DeJohn has remained connected to the College by serving as a member of the Board of Trustees, the Student Affairs subcommittee and the Chair of the Alumni Leadership Committee. She regularly supports and attends Goodwin College activities and programs, some of which have included observing capstone project presentations and student and alumni networking events. As a non-traditional learner, DeJohn encourages students of all ages to further their education and says that Goodwin College gave her the foundation and structure to build her future and will always have her support. DeJohn resides in Rocky Hill with her daughter Hope and husband Gene, who serves on the Goodwin College Golf Committee. Her family also includes a son, Benjamin, his wife, Lindsey and grandson, Colby. 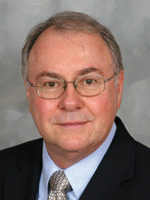 C. Anthony DiFatta, Jr. (Andy) has been in the real estate profession since 1974. He has been fortunate to have gained extensive experience in sales, leasing, financial analysis, construction and property management. This experience has enabled him to evolve into a well rounded real estate developer. Over the years, Andy has played a key role in developing office, industrial, and residential communities. Most of his experience was accumulated with medium to large scale companies. Andy is currently president of Ensign-Bickford Realty Corporation (EBR). In this position he directs the development activities on approximately 1,200 acres of land across the country. He also oversees the design, sales, construction and management of a planned residential community that will ultimately contain 182 freestanding homes. As a consultant, and prior to being on Goodwin College's Board of Trustees, Andy helped the college assemble approximately 700 acres of land along the shores of the Connecticut River. This is now an integral part of the main campus. Most of this land will now be used for environmental studies and passive recreation. Andy represents Goodwin's Board of Trustees on the Facilities & IT (Information Technology) Committee. Although construction of the main campus building is complete, from 2012 through 2014 three major construction projects were initiated and completed. These three projects alone represented approximately $120 million in new facilities that expanded the college’s real estate portfolio in East Hartford, CT.
Andy has an MBA with an emphasis in finance and was the President of the East Hartford Chamber of Commerce from 1994 to 1996. He was also Chairman of the East of the River Chambers of Commerce Association (ERCCA) in 1996 and 1997. "I am inspired by the mission of Goodwin College. In my personal and professional life I have seen time and time again that education opens the way for individual opportunity and the betterment of society. Goodwin College consciously strives to link education and opportunity while challenging all of us to seek lifelong learning and civic responsibility. As a member of the board of trustees, I will always be mindful of the responsibilities and privileges of being part of the Goodwin College community." Ethan B. Foxman, MD, Ph.D. is a physician and educator. 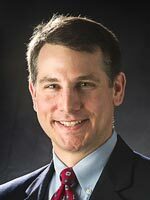 He currently serves as President and CEO of Jefferson Radiology, a provider of radiology services and medical informatics. He is a practicing neuroradiologist and participates in the education of physicians at Hartford Hospital, Connecticut Children's Medical Center and Stanford University Medical Center in Palo Alto, California where he is an adjunct clinical faculty member. Kelli maintains, "Professionalism, honesty, and communication are integral to a productive and committed team approach. Having worked in the hospital setting for most of my career, I bring to my students an understanding of the culture of health care and an understanding of the importance of accountability and reliability." She stresses that, no matter what stage in life we are in, there is always room for growth and for education. Kelli’s personal philosophy is: "There is no finish line." "I have always considered Goodwin College to be "special". I have watched this institution evolve into a welcoming environment, one that helps every student who walk through their door to get a good education and find a career that leads to self-sufficiency and true empowerment." Mary Ann Hanley has been employed by St. Francis Hospital and Medical Center for the past 15 years having worked a decade in state government, both as a consultant and a government official. Her career at St. Francis spans a number of areas from the St. Francis Hospital Foundation to hospital administration where she currently focuses on projects and programs that positively impact the hospital, the community and the region as the Liaison for Advocacy and Community Relations at Trinity Health Of New England. The Oak Hill School – a community based residential day and education program for people with disabilities serving as Chair of the Board of Directors. The Connecticut Water Company – a business that is dedicated to providing customers with high-quality drinking water and reliable service with a product that is essential to sustain life, our economy and our communities and a Board member and Chair of the Corporate Governance Committee. Goodwin College as a Board member and member of the Economic and Strategic Development Committee. The Capital City Economic Development Authority (CCEDA — now CRDA) overseeing the redevelopment of downtown Hartford as Secretary/Treasurer for 12 years. The Connecticut Employment and Training Commission — the statewide workforce board responsible for recommending policy and planning guidance to the Governor and the legislature on workforce related strategies, investments and programs. The Governor’s Prevention Partnership – a public / private partnership dedicated to keeping Connecticut’s youth safe, successful and drug-free, serving as Board Chair. The SBI Advisory Council (Small Business Innovation) which fosters partnerships between small businesses and university or research institutions. Her mission is helping others by supporting and promoting programs that help those such as at-risk youth, people with disabilities, small businesses or anyone who seeks her advice. Her enthusiasm, energy and humor provide the foundation needed to motivate and encourage others to improve their situation. In addition, she has received a number of awards and commendations from ADRC — Alcohol Drug Recovery Center, National Conference for Community and Justice Human Relations (NCCJ) Award, and the William A. O’Neill Community Recognition Award of which she is most proud. 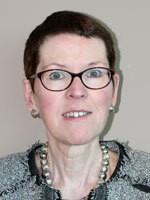 Mary Ann resides in Bristol with her husband, Michael. 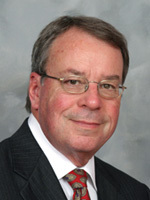 Jeffrey S. Hoffman is co-chairman of the Hoffman Auto Group. Founded in 1921, Hoffman Auto Group currently employs approximately 550 dedicated employees and is comprised of 11 automobile dealerships in four locations (East Hartford, Avon/Simsbury, New London, & Watertown). Mr. Hoffman is involved in numerous professional associations and sits on the boards of several Greater Hartford organizations including The Bushnell, Hartford Stage Company, Mandell Jewish Community Center, Connecticut Public Broadcasting, MetroHartford Alliance, and University of Hartford. He is a major supporter of the arts, education, and medical associations in the Greater Hartford Community. “It is important to me to give people the opportunity to get an excellent higher education so they can lead productive and fulfilling lives. Goodwin College does that. "Goodwin College is a place where hope shapes and guides the lives of tomorrow's citizens. Goodwin staff believes that every student, no matter what their circumstance, has the opportunity to succeed in the world of college and jobs. Students learn to work hard at academic gains within a support system which reveals new choices and expectations, provides social capital, all while holding students accountable and opening doors to new experiences. My beliefs and life's work as an educator coincide with the Goodwin mission, for together we agree that education for all is the cornerstone of democracy, particularly as our nation faces complexities and challenges unlike any in our history. As a Trustee, I look forward to contributing to the mission of Goodwin College." Jacqueline Jacoby is an educator who served as both an energetic and creative school superintendent in Glastonbury, CT for eleven years. This was followed on two occasions, serving as Interim Superintendent in the public schools of Hartford, CT, the third poorest city in the United States. Currently she is an educational consultant working with public schools and nonprofit organizations. 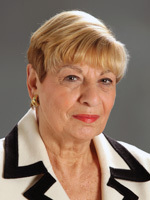 She has held many leadership positions in professional organizations, and received numerous awards including the Presidential Award from the Connecticut Association of Public School Superintendents and the Connecticut Educational Leadership Award from the University of Connecticut. Adam has 20 years of experience in public and community relations in both the public and private sectors. 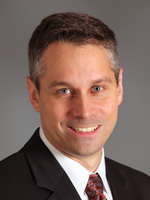 He currently holds a dual position with United Bank of Glastonbury, Connecticut, as Eastern Connecticut Regional President, where he serves as the Bank’s ‘geographic ambassador’ in the region, and Head of Corporate Communications, where he manages all internal and external communications for the Bank. In addition to his professional achievements, Adam earned various accolades over the years, including the 2010 Outstanding Board Officer Award for his work as Board Secretary for Hartford Area Habitat for Humanity and was among Hartford Business Journal’s 40 Under Forty winners in 2007. While working for former Governor M. Jodi Rell, Adam was named a Henry Toll Fellow by the Council of State Governments, one of the nation’s premier leadership development programs for state government officials. Adam currently serves on Goodwin College’s Economic & Strategic Development Committee and is a Board Member for the Connecticut Sports Management Group, Inc. (Nutmeg State Games). He earned a B.A. in Political Science from the University of Connecticut in 1994 and currently resides in Wethersfield his wife and their two children. Why I want to serve on Goodwin College’s Board of Trustees? Goodwin College not only provides a first-class, affordable higher education, but because of the programs and degrees it offers, the College has become a catalyst in transforming the lives of individuals and families in this area. Over the past ten years, I’ve personally watched the exciting growth of Goodwin College and its campus, witnessed first-hand how the passion and hard work of the faculty and administration inspires the student body to succeed and I know the impact the College continues to have on our local economy. That’s why I’m thankful to be a part of this learning community that is doing so many wonderful and impactful things for students seeking a higher education. "I am very happy to serve on the Goodwin College Board of Trustees because in giving whatever talents I may have, at the same time I am receiving so much more for my own personal development. With my financial, engineering and management background, I can contribute to the growth and expansion of Goodwin College. At this time of global integration I am happy to share my understanding and knowledge of the language and culture of the Hispanic Community and to participate to the college's renewal. Surely for my services n the Board, I am receiving support and guidance for my own well being and that of my family." Mr. Maturana earned a Bachelor of Science degree in Chemical Engineering at Pontifical Bolivarian University in 1982. He has also studied finance, administration and computers. He is originally from Colombia, South America. As a professor at Pontifical Bolivarian University, he taught classes in chemistry and mathematics. As a developer, he designed and built plants which produce Ammonium Chloride for use in batteries and also Activated Charcoal. He has worked in positions of financial management for more than 10 years, chief of engineers, international trade, sales chemicals, marketing, purchasing and administration. He is currently a Business Manager of Catholic Communities of East Hartford North. Mr. Maturana is active member in the Catholic Church and his community. He served as a trustee at St. Brigid Church in West Hartford, as well as at Spice Glen Association. He has published a detailed and influential study calling for improvements in municipal waste disposal. "I’m humbled and honored to be part of an institution with a mission as unique and compelling as Goodwin’s. The passion, dedication, and commitment of the Goodwin administration, faculty, staff, and students is truly inspiring. Everyone here thinks outside the box and dreams big. That’s why there is no limit to what the Goodwin community can (and will!) continue to achieve in the years to come." Megan Mehr is an education consultant for the Internationals Network for Public Schools, a non-profit organization dedicated to improving the education of English Language Learners across the United States. 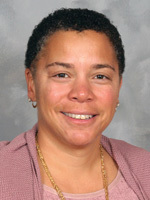 Prior to joining Internationals, Megan served as a teacher and school leader in New York City and Boston in innovative middle and high schools focused on closing the achievement gap and institutionalizing and sharing best practices that other schools and communities can replicate in order to better serve their own students. Megan has a B.A. in Psychology from Boston College, an M.S. in Education from the New School University, an Administration and Supervision degree from Hunter College, and an M.A. in American Studies from Columbia University. "It is not your part to finish the task, yet you are not free to desist from it."